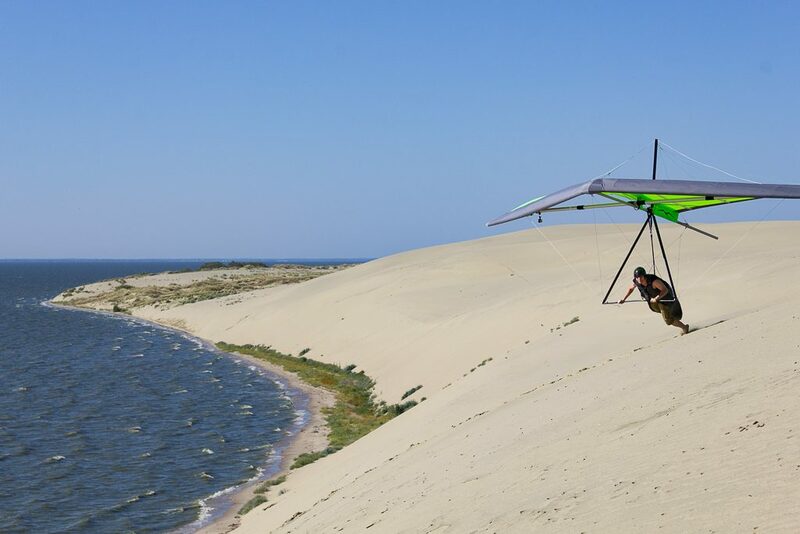 I have no idea how I managed to overlook this miracle of nature before but here is the fact: in Russia, there are absolutely fantastic dunes only 1300 kilometers away from Moscow that are just as good as the French Dune de Pyla, if not better, when it comes to their hang gliding potential. The length of the dune which you see in the photos is about five or six kilometers (the definition of flying area’s boundaries are rather vague), and the height of the slope varies from one to 40 meters. There are steep and gentle slopes, both high and low. This diversity allows one to vary both the flying style (starting from dune gooning over the beach and ending with dynamic soaring and even aerobatics) and the type of a hang glider (no problem to fly a Litespeed when there is enough wind), and offers a very wide range of flyable weather conditions. I wish I could bring a Gecko here one day! Despite the steep slopes of sand, which usually are the signs for a dune rotor, here on the Curonian Spit from time to time the wind direction is perfectly spot on! 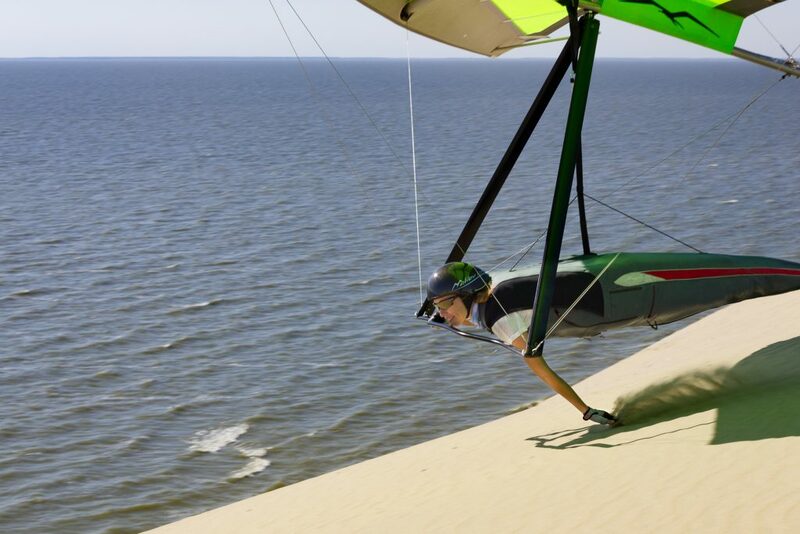 When you grow tired of waiting for the prefered south-east winds, you can still fly on the other side of the spit along the Baltic Sea in the north-west winds, where you will find a very long, low, grassy but more accessible dune. Also, there are a few more different flying sites in addition to the Curonian Spit in the Kaliningrad region of Russia. 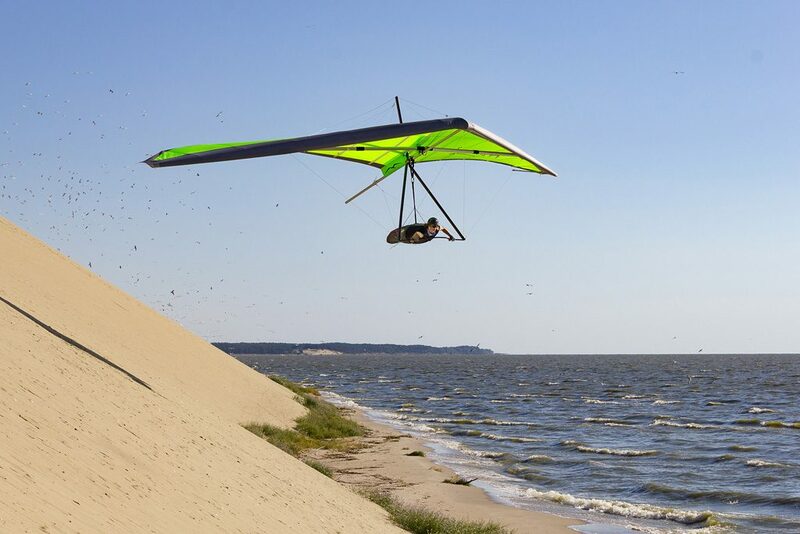 Curonian Spit is a huge nature reserve with lots of attractions for you and possibly your not-flying family. You can buy the Malibu in our shop.